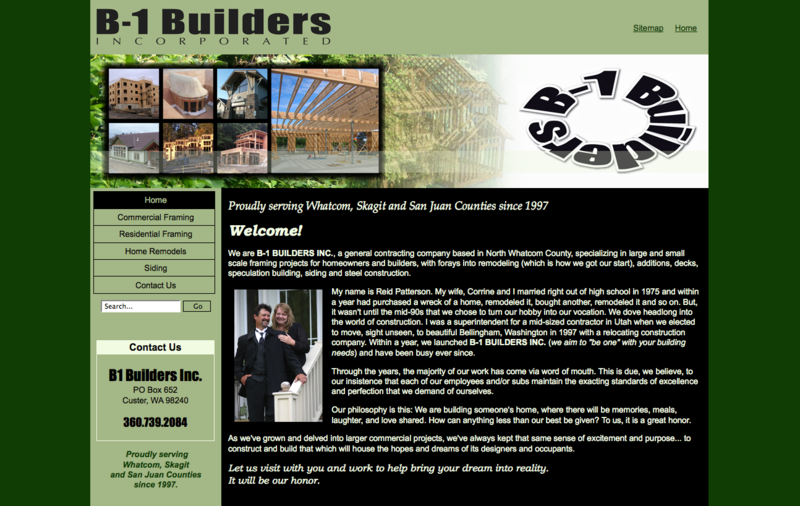 Here is our latest design, a basic web design for B-1 Builders, a local framing company in Birch Bay, Washington. Their website called for lots of photographs of their building projects to show off their size and skill, and our basic website package was just what was needed to make an impression on potential clients. Check it out! B-1 Builders is a general contracting company based in Birch Bay, Washington, specializing in large and small scale framing projects for homeowners and builders, with forays into remodeling, additions, decks, speculation building, siding and steel construction. Call PCF Web Solutions today 360-738-4931 or check out our website www.pcfwebsolutions.com to see what we can do for you and your business! Previous To Do Lists Next COPIES! COPIES! COPIES!